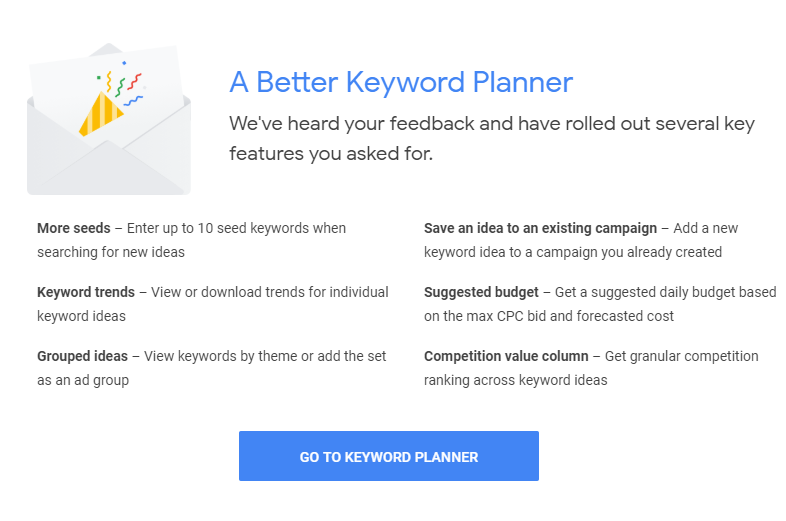 Google Ads is adding a bunch of new features to their keyword planner tool. Ginny Marvin dug into the features in detail at Search Engine Land, but here is a summary from the announcement screen provided to me by Ross Barefoot on Twitter. 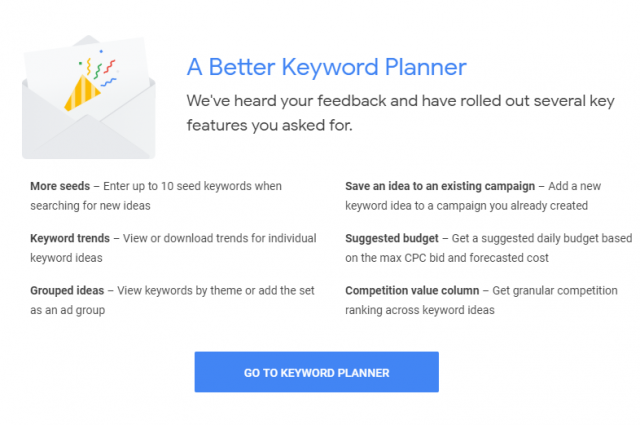 Up to 10 seed keywords when searching for new keyword ideas. Keyword trends can be viewed or downloaded for individual keyword ideas. Grouped ideas can be viewed by keywords by theme or added to sets as a group. Saved ideas can be added to an existing campaign. Get suggested daily budgets based on the max CPC bid and forecasted costing. Get a detailed competition value column that shows ranking across keyword ideas.